Superdry women’s slim joggers from the Orange Label range. Get a leg up in the style stakes this season wearing this pair of slim joggers. These are perfect for lounging around the house or creating the on-trend athleisure look. 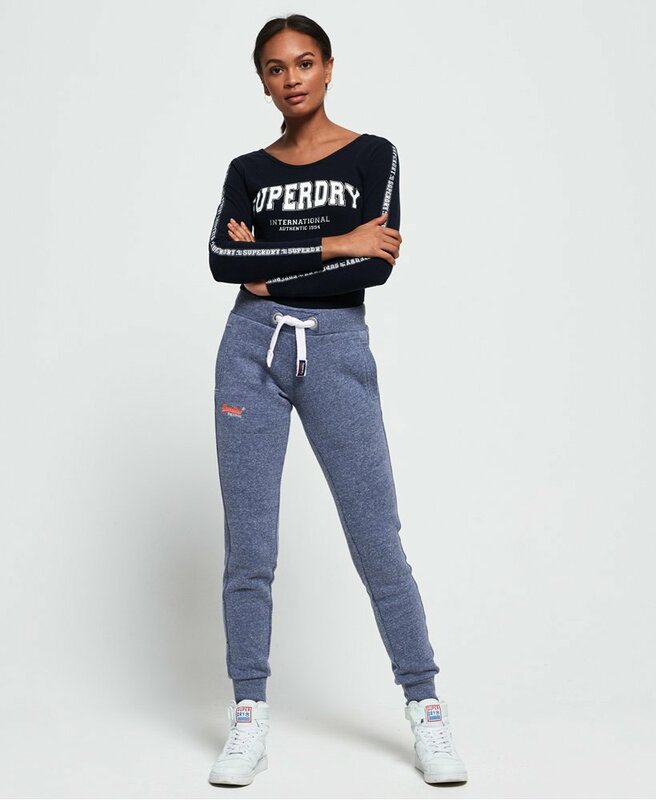 They features a draw cord waistband, two front pockets and a back pocket, ribbed cuffs and a Superdry logo embroidered on the thigh. For the finishing touches, these joggers have been decorated with a Superdry patch on the cord and a Superdry tab on the back pocket.